Elements ---- Sickness 疒 + person's hands 臾. Phonetic series 臾. Sickness 疒 suffered when one can’t get food 臾. 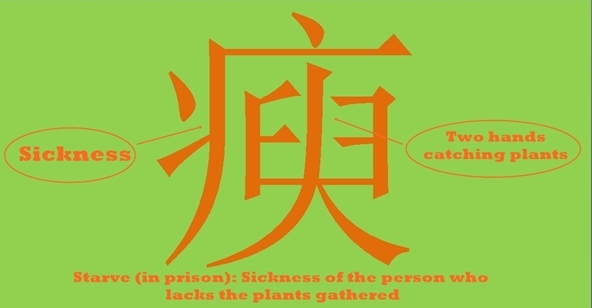 瘐死 yǔsǐ die of hunger in prison. This, and the other characters of this family of characters, show that its meaning is related with the agricultural works, with the hand of a person holding plants.